Sail perched against the backdrop of an island landscape. 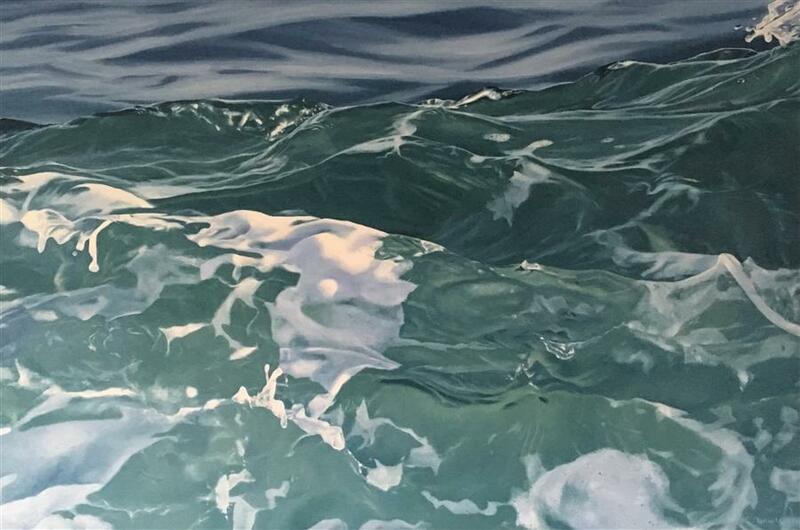 Photorealistic oil painter Debbie Daniels creates landscape paintings that depict scenes from the San Juan Islands. 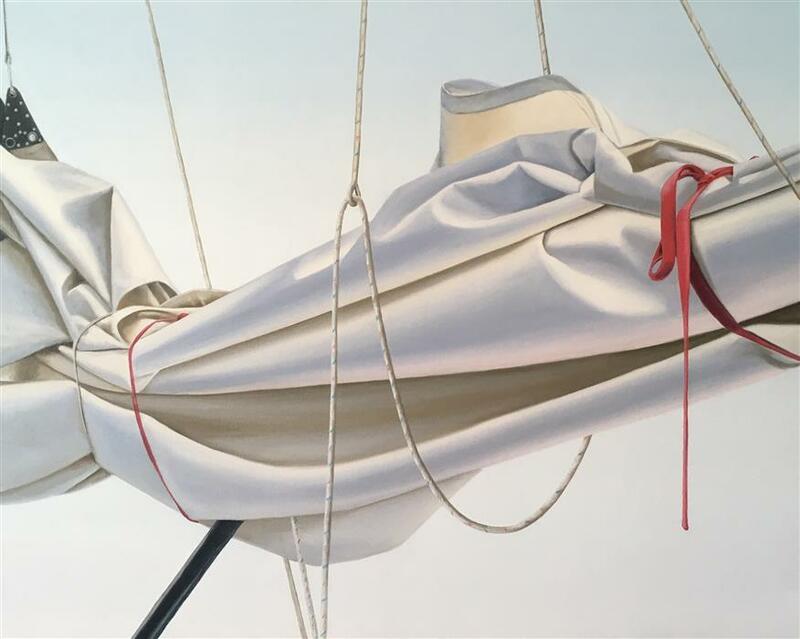 Her pieces, often paintings of boats and the ocean, combine careful observation and precise brushstrokes to give attention to often-overlooked organic and structural forms. 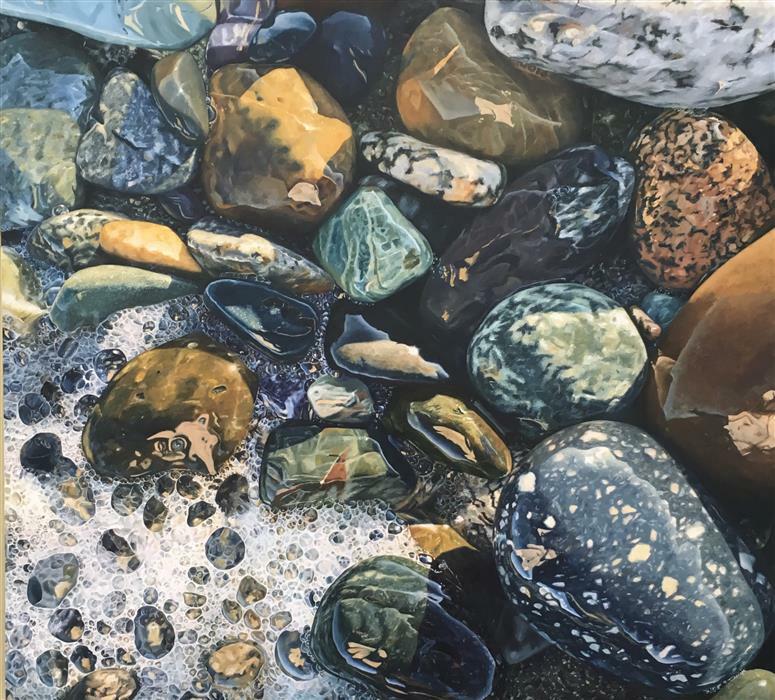 She explores the islands of northwestern Washington, taking source photographs that capture interesting color, texture, shapes, and patterns. 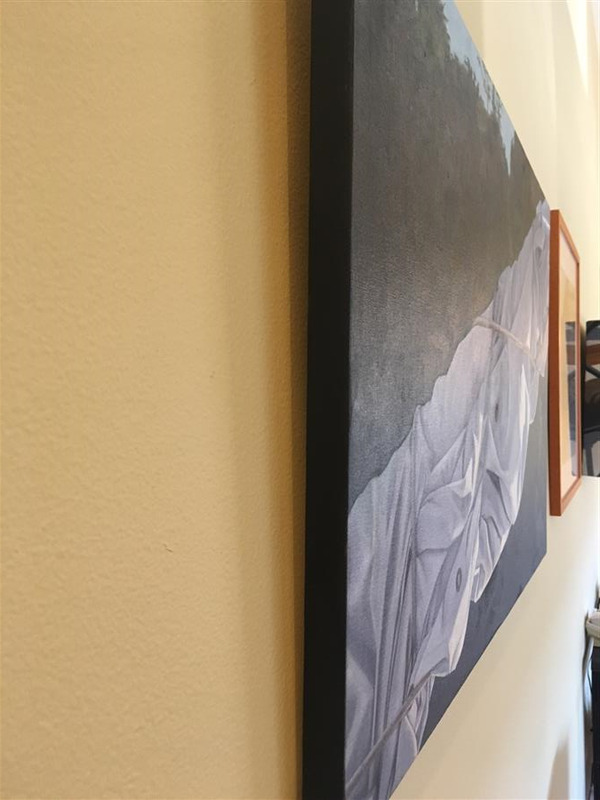 She begins each painting by sifting through hundreds of photos. 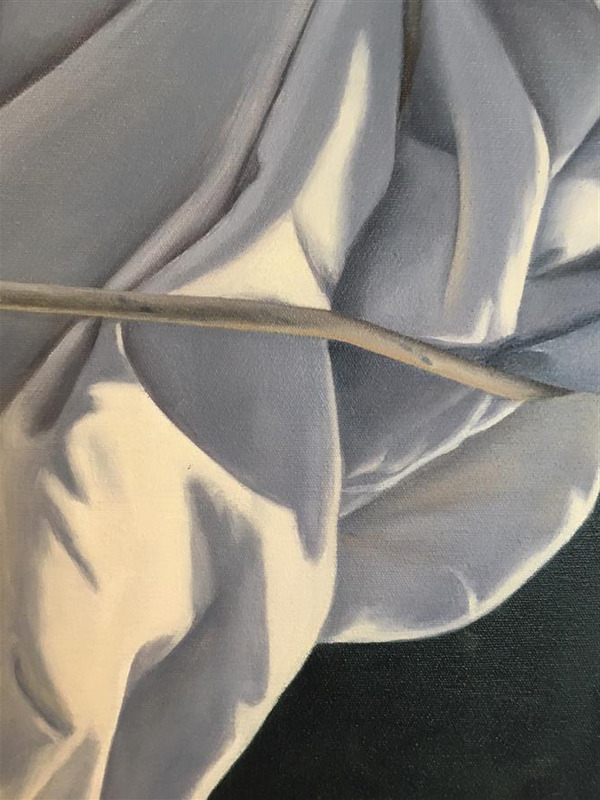 After selecting the photo reference, she starts each painting with a free hand drawing on canvas using a thin wash of paint. 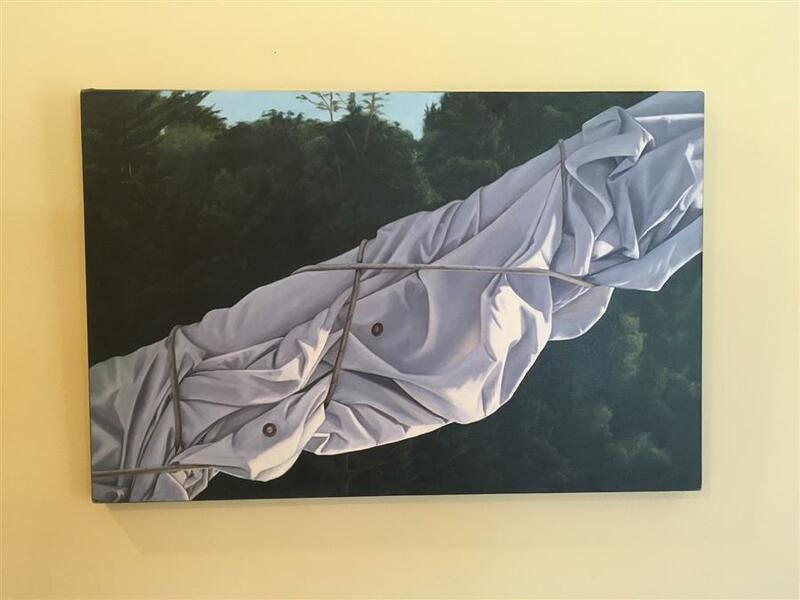 Debbie’s style of photorealism, which first came into fashion in the 1970s with American painters Chuck Close and Gerhard Richter, depicts ordinary life in such fine detail that it resembles photography. 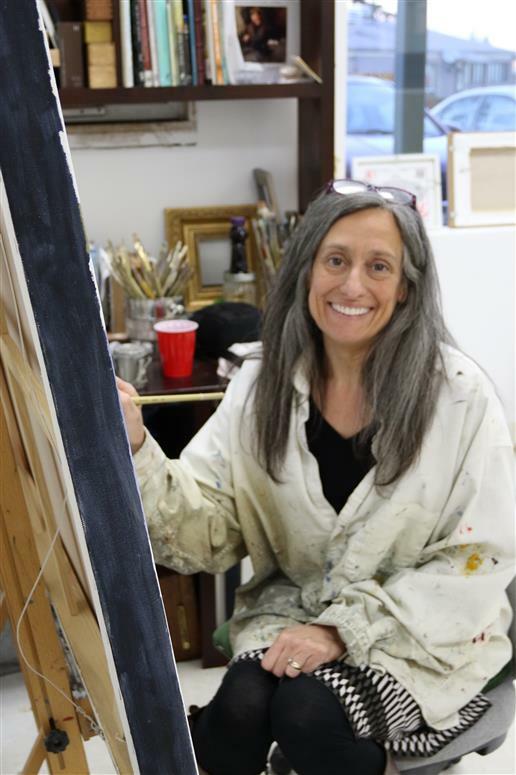 She paints from her studio in Friday Harbor, Washington which she shares with several other artists. 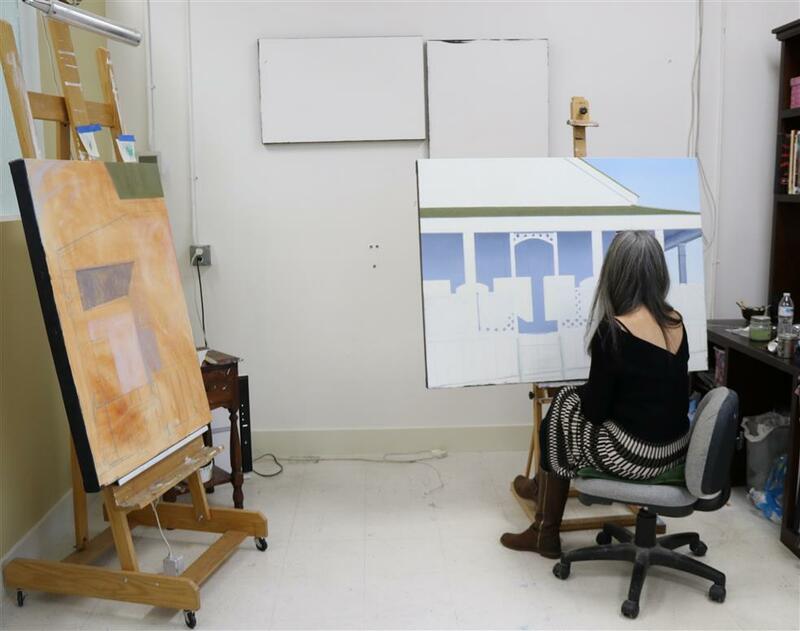 The shared space promotes collaboration among the artists and a team mentality. 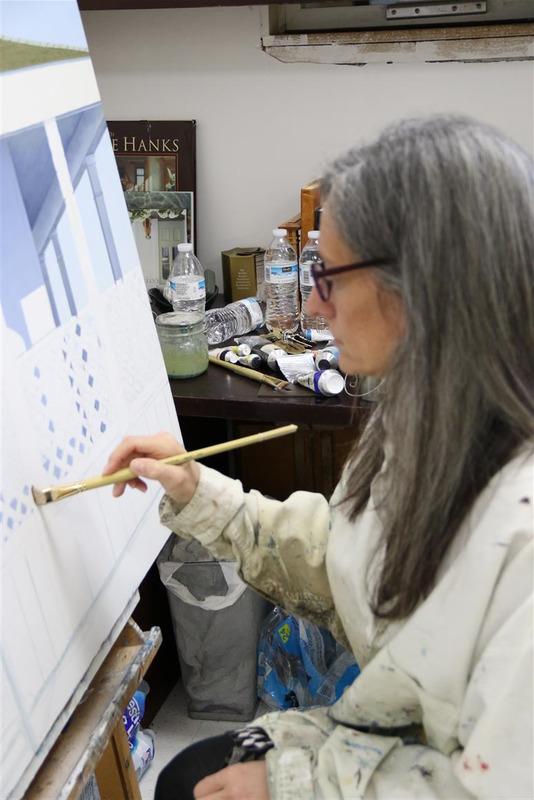 Debbie studied at the Columbus College of Art and Design for one year, and has continued to develop as a self-taught painter. 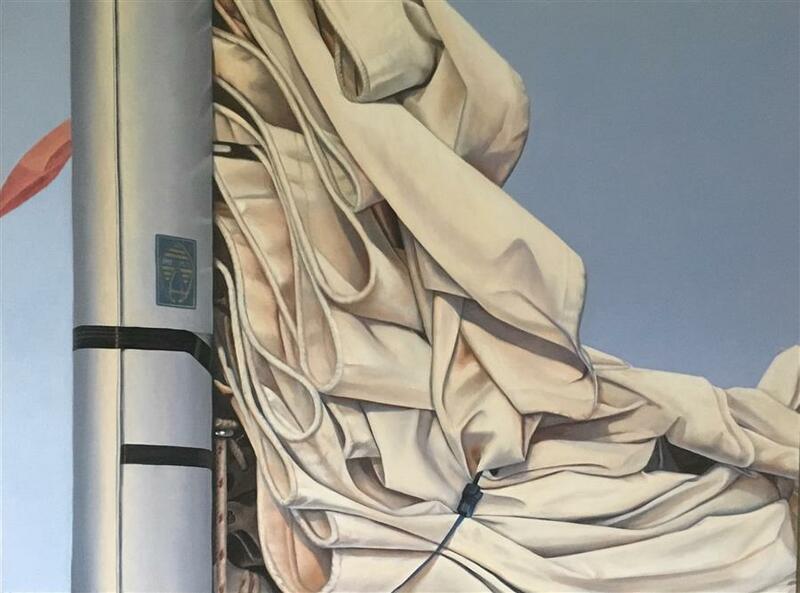 Her work has been included in national and international juried shows in New York, Seattle, Washington, and New Mexico, as well as several publications, including Southwest Art Magazine (2017) and the Best of Drawing: Strokes of Genius series (2011).